This is Emily. My friend, my teammate, and fellow classmate. 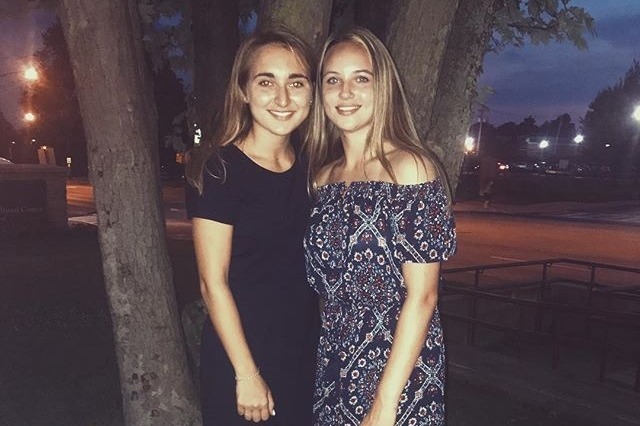 Emily graduated from Webster Schroeder in 2017 and played soccer and ran for their high school team. She still holds the school's record in the mile. Currently, Emily is 19 years old and a sophomore at Canisius College. She runs for their Division I Cross Country and Track programs and is going for her business degree. In August of this year, our friend Emily was kicked out of her home. Her parents found out that she has a girlfriend through her social media, and they gave her the choice; come home and go to therapy or stay at school and be completely cut off. She chose the latter and has been doing her best to stay afloat in college without the financial support of her parents. Her parent's response has put a lot of emotional weight on Emily. Luckily, she was already moved into her dorm when Emily’s parents found out. Her parents responded with hate: aggressive texts blaming her and they even dumped of all her stuff she had left at home such as baby pictures, old clothes, childhood toys, etc. into the trunk of her car. To stay in school, Emily works two jobs: one at Wegmans and the other, a work study job on campus. 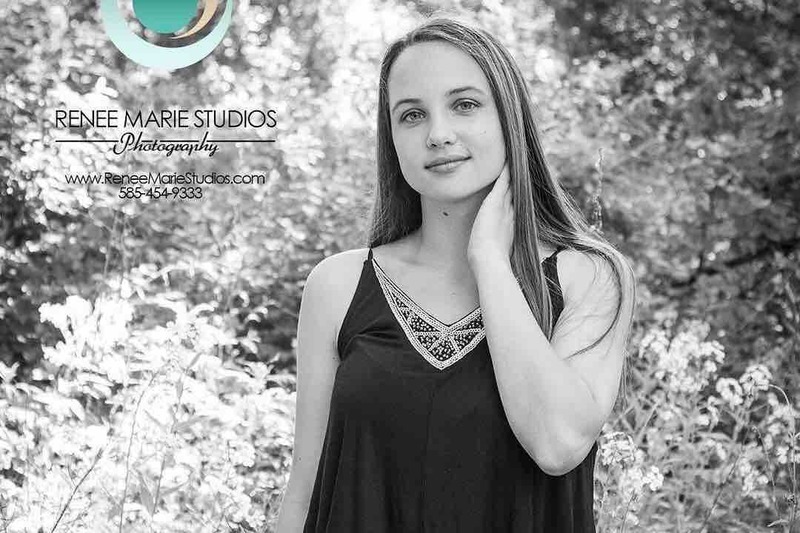 She is on her way to declaring herself an independent and hard working individual but has been struggling to support herself while completing schoolwork and competing at a high level. All the working, running, and school assignments leave Emily no time to actually be a kid in college. Emily has no home, and has no family supporting her. In 2019, she will no longer be on her parents health care plan and will have a whole new set of expenses to be covered. She was kicked out of her home for being herself. No one deserves to have their home and siblings taken away from them for being their true selves. Though she has made a new home in Buffalo through her teammates and her girlfriend, Justyna, we can no longer stand by and do nothing. Please consider helping our friend Emily. Any amount of money will help her to buy groceries, finance to finish school, or cover insurance. Help her focus on school instead of working to make ends meet. No one thought that her coming out would have such a drastic effect. This should not be happening in today’s society. Help her feel accepted. Help her feel like herself. Thank you to everyone who has helped shape Emily’s future through their love, support and donations. 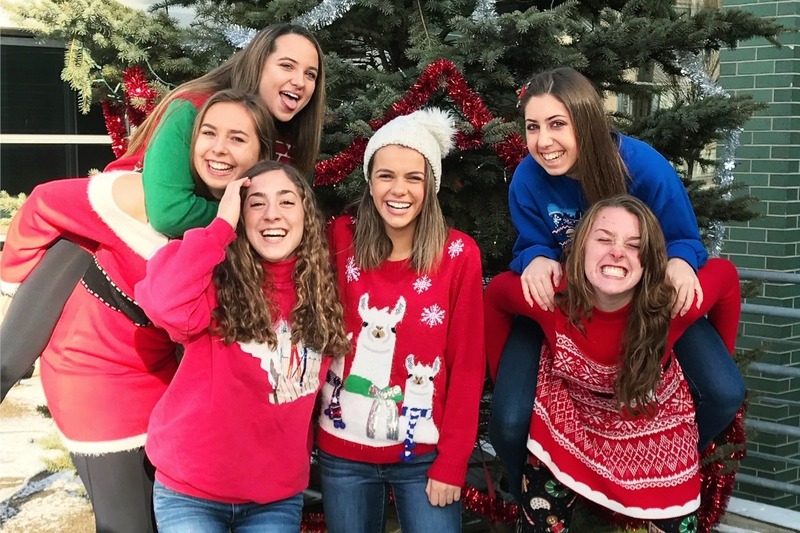 By the amount of shares and attention this story was able to bring, Emily has more than enough to replace the financial support her parents will no longer give. Even though donations are no longer available at this time, I strongly encourage giving to other LGBT organizations to continue on the love to others struggling as Emily did. Emily and I will be back running on the Canisius track team next season in the spring thanks to the NCAA and Canisius. We will continue our lives as college kids to get our Business degrees at Canisius. As Thanksgiving comes around, Emily, Justyna, and I all have something to be grateful for. A nation came together to help out a person in need and showed that Emily was worth fighting for. We all were shocked by the amount of people that helped and my gratitude can’t be expressed in words. Emily and Justyna will be spending thanksgiving together! 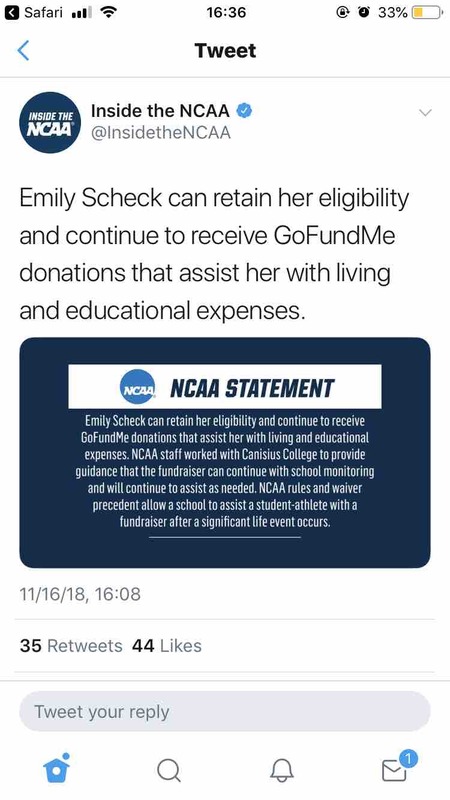 After support from so many, Emily has been granted her eligibility back and will continue to leave the donations open for anyone who is willing to lend their support! As of today, Emily and I are no longer on the Canisius College’s running programs. 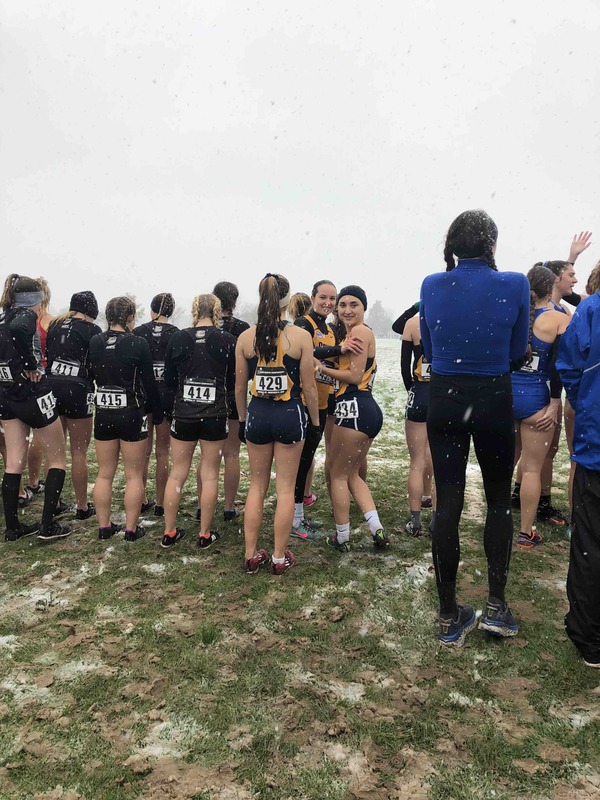 Though running had been a huge part of both of our lives, no longer being part of Canisius teams will not stop us from running and training on our own. This opportunity to help a friend in need has helped her and others to see that there is hope and love when it seems lost. While we were figuring out our eligible and the choice we had to make, we froze the donations. We have reopened them for anyone who wishes to continue to help the cause. Thank everyone for their support and love! We both will be supporting the team from the sidelines and we will forever be griffins. I would just like to add my thanks to everyone who liked, shared, or donated to the cause. This campaign really was able to show Emily that she really is accepted and loved by those around her. In less than two days, we raised over $20,000 which was quadruple the goal representing the army behind her. Sadly, because both Emily and I are both Division I runners, accepting this money means we are not longer eligible to run for Canisius College's Cross Country and Track programs due to the regulations of the NCAA. However, Emily and I both came to the decision that this money can help her more than running or the school ever will. With this money, Emily will be able to buy her books, pay her tuition, purchase health and car insurance, pay her phone bill, or her rent. This money is going to help Emily to get her degree and finance the things she needs in life. Emily and Justyna ran in NCAA North-Eastern Regionals coming in at the same exact time in the 6K at 25:23. Thank you all for your love and support. Love is love.